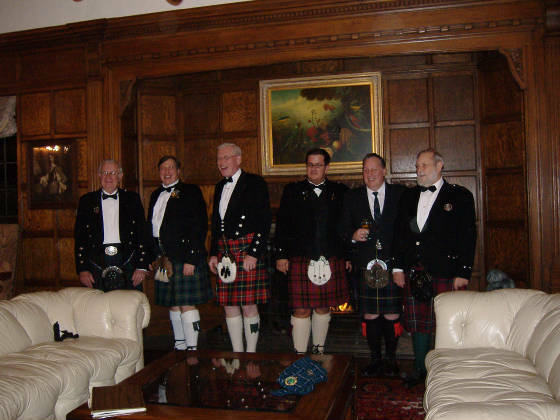 The gentlemen in their kilts. 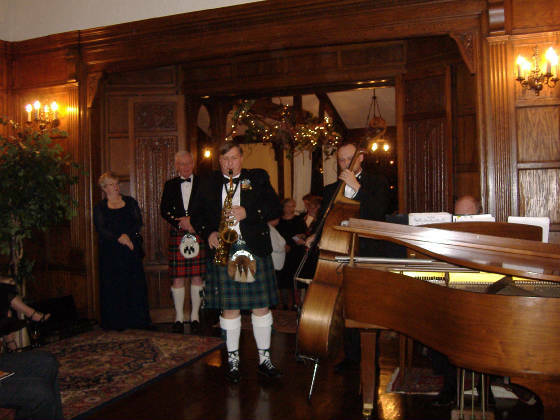 On November 11th of 2006, Robert Sickler of Johnnie Walker Distillery helped the Scottish American Society put on an evening that was unforgettable. Don Mellen of the Sas'y Group was in charge of the event and did a super job. 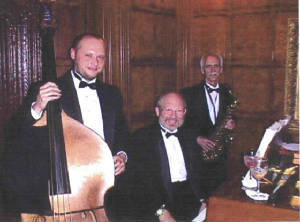 The Kerry Cavett Trio (plus one) performed magnificently - the one being Bill Kennedy on the sax, jamming. 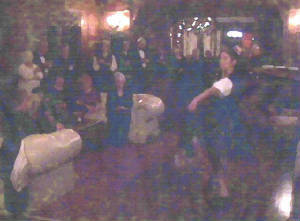 Becca and David Gressock performed beautiful highland dances and Brian McElhiney played the pipes with great skill. 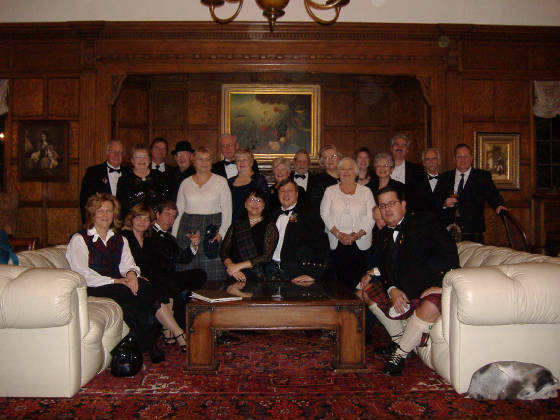 The ladies were dressed in their best gowns and the gentlemen were most handsome in their kilts. 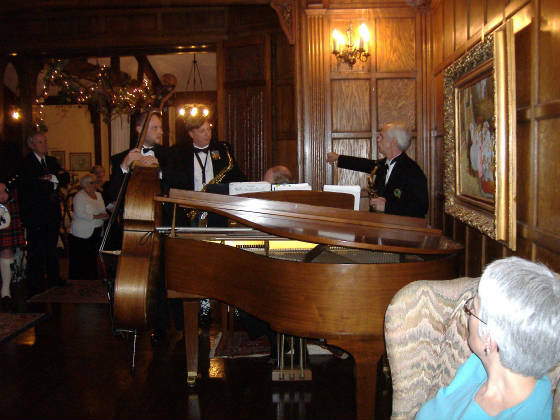 The event was held at the O'Neil house, a find old Tudor Revival mansion, replete with blazing fireplaces, linen fold paneling, and comfortable lounging spots. Truly a magnificent setting for our evening. It was such a success that we have already begun planning for next year. Don't miss it in 2007. Brian McElhiney, our Sas'y piper, with friend. 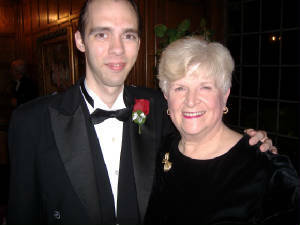 Tie a ribbon around your finger - don't miss this event in 2008 !